Reiki Masters all over the world are using my Reiki manuals and audio CDs for their own courses. They order the manuals in multipacks, at greatly reduced prices, and pass the materials on to their students. So why are they doing this, and what is it about Reiki Evolution manuals and CDs that make them worthwhile using? 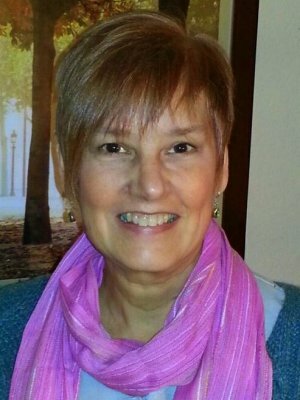 Sherry is a Reiki Master/ Teacher based in Texas who teaches Reiki at all levels. She uses Reiki Evolution course manuals for her First Degree, Second Degree and Master Teacher courses. When I first started my journey with Reiki, I was not provided with a manual of any kind. I was given a resource list and a folder with some handouts. My original Reiki Master Teacher was unable to complete the Master level training with me due to personal illness and so I had to move on to another Master Teacher. It turned out to be the best thing that could have happened for me because the new Master was using Taggart King’s manuals. So, I was introduced to the materials with Shinpiden. When I decided to begin conducting my own trainings, I reviewed First Degree with my new Master. That’s when I saw the Shoden manual for the first time. At that point I was hooked and now I provide the appropriate level manual for my students as part of their training. Using Taggart’s manuals fits my personality as a teacher. They are direct, complete and give full explanations with visuals for anything that a blooming practitioner could need. I especially love his sense of humor and the way he brings a reality to every day Reiki while still holding a space of total respect for the wisdom and mystery of Reiki. He speaks with the voice of authority, but encourages students to be guided by personal intuition. I especially appreciate his commitment to researching and sharing the original Japanese ways, making it clear where and how Western Reiki traditions have entered the scene. Using his materials gives me confidence as a teacher knowing my students have a quality manual to which they can refer in the days following their training. 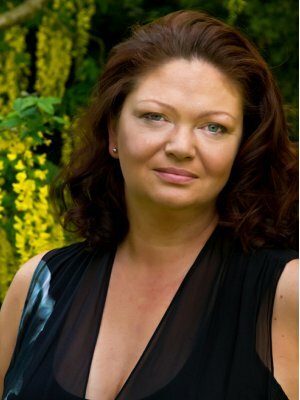 Rhonda is a Reiki Master/ Teacher based in South East London who teaches Reiki at all levels. She uses Reiki Evolution course manuals and audio CDs for her courses. I have been using Reiki Evolution resources ever since I started running my own courses and teaching Reiki. This is mainly because I don’t believe in re-inventing wheels! There is such depth of information in the manuals, even if I wanted to, I could not produce anything better myself. From a personal point of view, I return to the manuals time and time again to refresh my knowledge and check what I may have overlooked. I really like the fact that within the manuals there are options and little is set in stone. I can choose for myself which approaches to take both when self treating and when giving a reiki treatment so I can choose the techniques which work best for me. Re-visiting the manuals gives me the opportunity to find techniques I’ve left aside and try them when I’m ready to. This is very much the approach I suggest to all my Reiki students. There is always positive feedback from people on my Reiki courses about both the manuals and the CDs. As a teacher of Reiki, it is great having such excellent resources readily available to distribute. People who book on my courses have often trained to level 1 or 2 with another Reiki lineage so I always ask to see any manuals or support materials they have been given. This allows me to see the similarities across the courses and where I might wish to include additional elements on the course. Whilst there are some good support materials out there, to date, no other manual has come close to the depth of the manuals provided by Reiki Evolution. In fact, in many cases there have been no support materials or ‘manuals’ that consist of around 10 pages of large font containing only a small amount of information. With the Reiki Evolution manual there is no need to flounder after the course and struggle to remember everything as it can be referred to time and time again. In my experience, very few other lineages distribute CDs as part of their courses. Reiki Evolution CDs are a great aid to learning and back up information in each manual. They can be played in the background or in the car until all of the information is absorbed, or used in a more structured way as the pre-course study course is followed. The CDs also serve as a good refresher after the course. The meditation CDs are excellent and help to quickly get the listener relaxed and reach a meditative state…backed up by endless comments from my Reiki students about how much they love Taggart’s voice. Occasionally I get approached by previous students who have not given Reiki much attention for a while – the meditation CD can help people to find their way back to Reiki. Many people, years after they have completed their Reiki courses tell me they still use the meditation CD regularly…it’s easy, it works so why not? You can find Rhonda here: Abundant Energy. 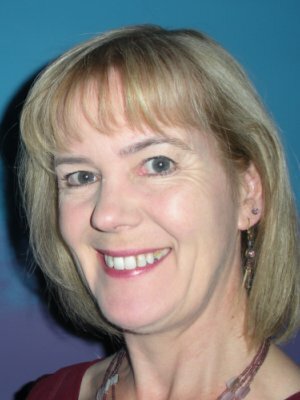 Oonagh is a Reiki Master/ Teacher based in Hertfordshire who teaches Reiki at all levels. I have used Reiki Evolution course materials for some time. It is a pleasure to use them as they are clear and comprehensive, easy to follow with clear diagrams and instructions. All materials are produced to a high specification – creating an image of professionalism. The manuals are a good reference for students to browse through, enabling them to reflect and digest all that has been given and shown to them. The CDs too, assist with all aspects covered including meditations. For those students with dyslexia the CDs have proved very popular. You can find Oonagh here: One Stop Healing. 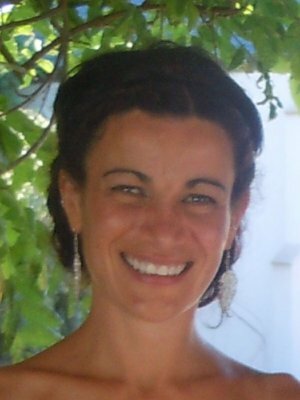 Gina is a Reiki Master/ Teacher based in Middlesex who teaches Reiki at all levels. I am a Reiki Teacher/Master and often run courses in Reiki. I choose to use the Reiki Evolution manuals and CDs on my courses as I find them very comprehensive, easy to follow, flexible in their approach and cater for all the different learning styles: visual, auditory and kinesthetic, enhancing the overall learning experience. The students are also provided with the opportunity to familiarise themselves with the course and content at their own pace prior to the actual day of training. As such, on the commencement of the course, students are free to relax and truly enjoy the practical component of the course. There is no need for them to frantically engage in note taking as all and everything is covered, in great detail, in the manuals, providing a valuable reference for life. Ordering the manual is easy, communication is excellent and they are always delivered promptly. I give genuine thanks to Taggart for making such a wonderful resource available and I have no hesitation in recommending the manuals to anyone considering using them on their courses. You can find Gina here: Wellbeing and Healing and on Facebook. 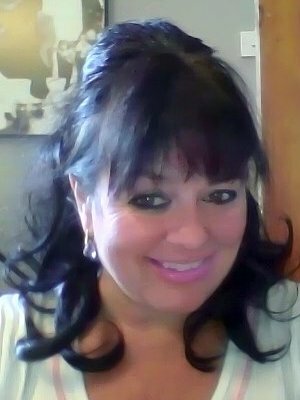 Diane is a Reiki Master/ Teacher based in County Durham who teaches Reiki at all levels. I have been using Reiki Evolution teaching manuals and cd’s for several years now. As a reiki master and teacher I have found both the manuals and the cd’s to be an excellent method of teaching. Reiki Evolution a fast and efficient service at all times. My students have also given me positive feedback confirming that the manuals are easy to read and to understand, giving them an insight to the wonderful world of reiki. The manuals include “student’s experiences” which are particularly useful and the books are well illustrated throughout. The cd’s which are available provide a brilliant way of teaching those students who prefer to learn through listening and the guided meditations really help the students to experience different energies before attending their reiki course. The Reiki Teaching Guide manual is a must for those reiki masters embarking on their teaching path, it is very informative, giving great schedule plans to help your course go smoothly. I have no hesitation in recommending all the teaching materials available from Reiki Evolution, they have certainly helped myself and my many students. 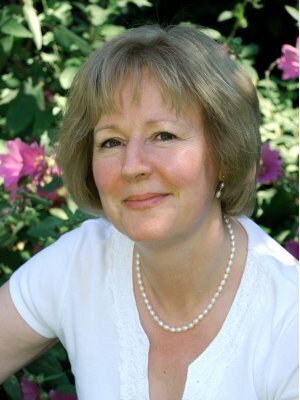 Marion is a Reiki Master/ Teacher based in Leicestershire who teaches Reiki at all levels. 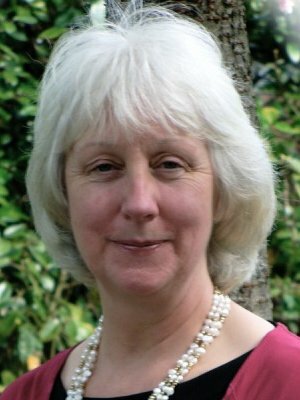 She uses Reiki Evolution course manuals and audio CDs for her First Degree, Second Degree and Master Teacher courses. I was first drawn to reiki in 2009 after a number of life changes. I searched online for courses and was very drawn to the Reiki Evolution site because all of the courses are very well organised and there are an abundance of resources available at all levels. I especially liked the fact that I could read the course manual prior to attending so I would know what to expect on the actual day of the course. As I continued my reiki journey I began teaching reiki and as a result I have had the pleasure of meeting many interesting and wonderful individuals. Some have already studied reiki elsewhere, many had not been given any course material either prior to or after the course they attended. Students who have been taught in this way are especially passionate when talking about the Reiki Evolution course material as they love the fact that they do not have to try to listen, watch and make notes all at the same time as they have all of the information they need in their manuals and CD’S. The DVD provided on the Master course has been especially invaluable to me as it shows and breaks down in stages, all of the movements needed in order to carry out both an attunement and an empowerment. I honestly believe that all of Reiki Evolutions products offer great value for money. I will continue to use Reiki Evolution’s course material for as long as I continue to work as a reiki teacher. I have also become a writer myself and have learnt to appreciate the direct and easy to understand course material produced by Reiki Evolution. Jenny is a Reiki Master/ Teacher based in Hertfordshire who teaches Reiki at all levels. I became a Reiki Master Teacher in 2005, started teaching in 2008 and since then have trained around 60 people in Reiki 1, 2 and Masters. To begin with I did consider writing my own manuals, but found those provided by Taggart to be so professional looking and full of information that I wondered why I would try to re-invent the wheel! I always get really positive feedback from my students, who are always impressed by the depth of information provided. To me, one of the big advantages of the level of detail contained in the manuals is that they act not only as a useful reminder of what we cover on the day of the course, but also information that people can dip into and learn more about Reiki in their own time after their course. Delivery is always quick and I think the manuals provide really good value for money. I can definitely recommend to anyone! 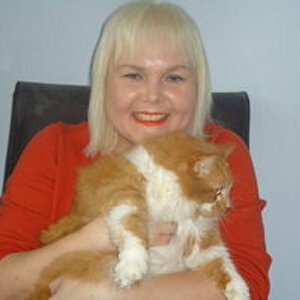 Wendy is a Reiki Master/ Teacher based in Wiltshire who teaches Reiki and Reiki for Animals. She uses Reiki Evolution course manuals and audio CDs for her Reiki training courses. I began my journey with Reiki over 20 years ago, firstly receiving treatments, then going on to develop an interest in training myself. My first attempt a learning Reiki was however very disappointing. I came away from my Reiki I course confused and unsure what exactly I was supposed to do or how I was to proceed. I was fortunate enough a few years later to come across a Reiki master who used the Reiki Evolution materials as pre-course reading and throughout his teachings, and I re-started my training by repeating Reiki I or Shoden. And what a difference! Everything was clear, easy to understand and above all made sense. The approach was free from ‘clutter’ and other peoples interpretations and seemed to be just about the Reiki itself. I followed my reiki training through to Shinpiden, Reiki Master Level, with Reiki Evolution materials to guide me throughout. Now that I teach others, I found that using the same manuals that helped me so much was the obvious choice. I find them easy to use, my students find them easy to read and understand, they make guiding people through their Reiki journey so much easier. It is reassuring for me to know that my teaching is grounded in such a sensible, established lineage. I use the manuals, CDs, postcards and certificate templates for all my teaching. Ordering materials is easy and they have always arrived quickly. The materials look professional and I believe add further credibility to my courses. 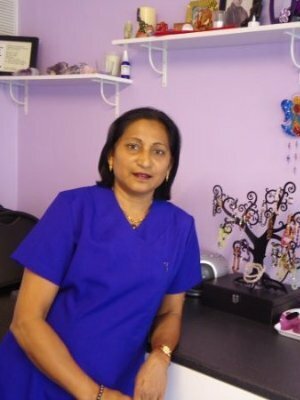 Nayana is a Reiki Master/ Teacher based in Ilford, in the London borough of Redbridge. She uses Reiki Evolution course manuals and audio CDs for First Degree, Second Degree and Master Teacher courses. I use Reiki Evolution Course Material by Taggart King for all my students. I found that the manuals and CDs are relevant to each Reiki course. The manuals and CDs are easy to follow and have detailed information which covers the most important aspects of Reiki from the original Japanese system. The manuals and CDs are very good value for money and the service is quick and efficient. All my students are also happy with the course materials.